Why do i keep getting password reset text messages while have not reset it. 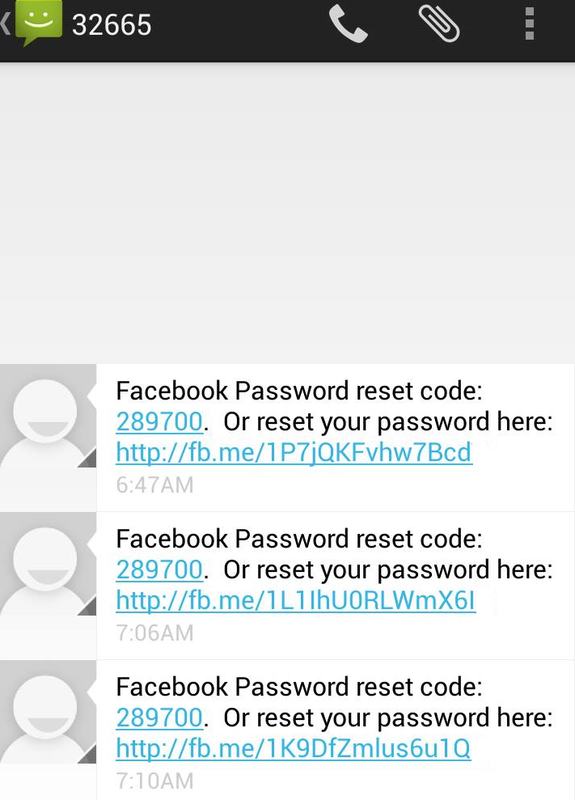 So Why Does Someone Get A Password Reset Code Text from Facebook? You logged in somewhere, and logged out. Your login name is now in the user name box. Someone else is now trying to login using their password, not realizing that its your id in the user name box not theirs. So they are not able to log in. Believe it or not, as an IT tech, its at least once or twice a week that I get the I can’t log in call and it turns out that someone else’s id is in the user name box. So other than being annoying its not a big deal. A hacker using a bot is trying to trick Facebook, to discover or guess your password. This is concerning. However, if you have a complicated password (and using Password1 isn’t complicated), it shouldn’t be to big a risk. If your password is Password1, you really need to change it to something more complicated, that should included upper case letters, numbers, and characters like the @ in the password. Its a phishing attempt. This means that someone is sending out random text messages, hoping that you will believe it and click the link, where you will either download something or be taken to a fake page that looks like Facebook to then trick you to giving up your actual info. This one is the most common. The page can look like the example below, which looks legit, but look carefully at the www address in the picture. If your Facebook account and the email account you use as your FB log in name share the same password, you should change your password on both. 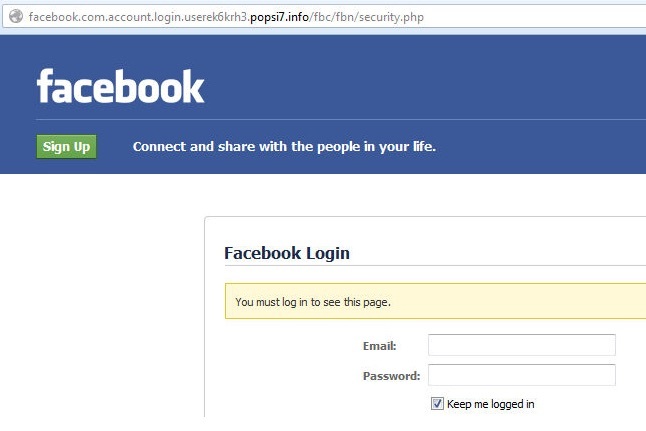 Change your password by logging into Facebook and going into setting to change your password. If you want to be extra cautious, you could turn on 2-factor authentication in Facebook. If your Facebook password is easy to guess, like Password1, change your password to something more complicated. 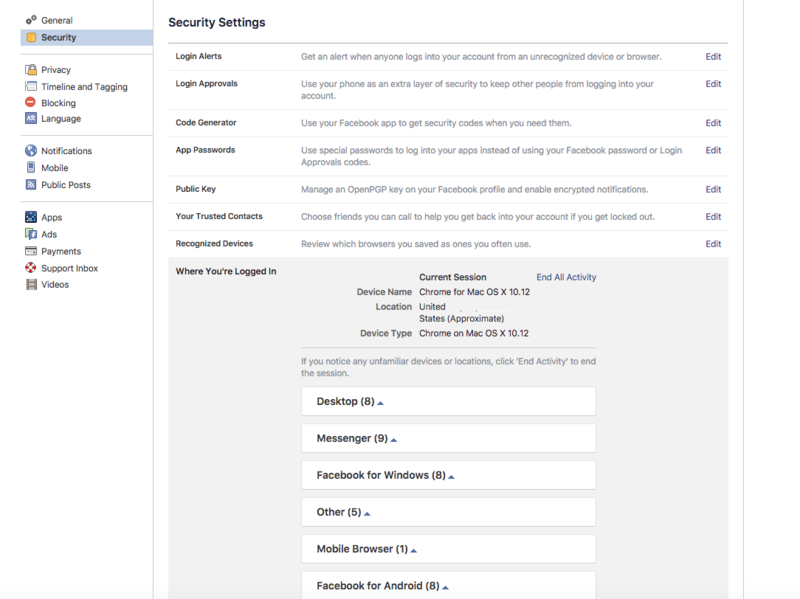 You can also go into your Facebook security settings and look at the section that says “Where You’re Logged In“. In that area you can review and log out of any and all computers that you have logged into Facebook. If you want to be proactive and your account isn’t compromised yet, you can go into your security settings and select 3 to 5 “Trusted Contacts” that you can use to help get your account back if you are ever hacked. If your account is compromised, you can visit facebook.com/hacked and follow the steps shown by Facebook to recover your account. I wish I could tell you there was more, but unfortunately when it comes to getting unexpected reset text codes, Facebook doesn’t have many options. You just need to make sure you take precautions to sure your account.